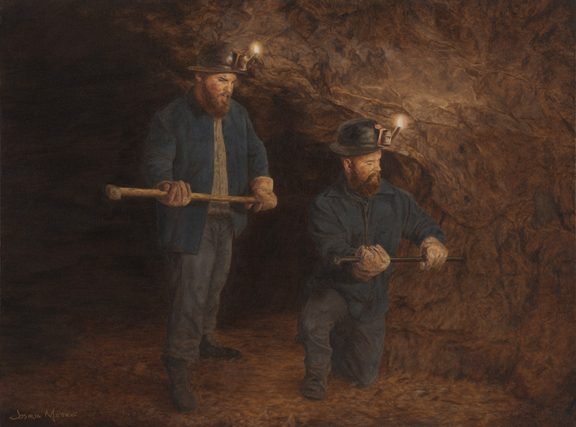 “The paintings are inspired by Michigan's history of copper mining in the Upper Peninsula. I toured the old mines, hiked the old trails, read about our history, and spent over two years painting the series. I’ve tried to tell the story of what it meant to be a miner in Michigan, the more intimate struggle that may be hard to get from a history book. This series might not be what you expect. There are depictions of the miners and landscapes of the mine ruins but I also tried to show the strength of their families." 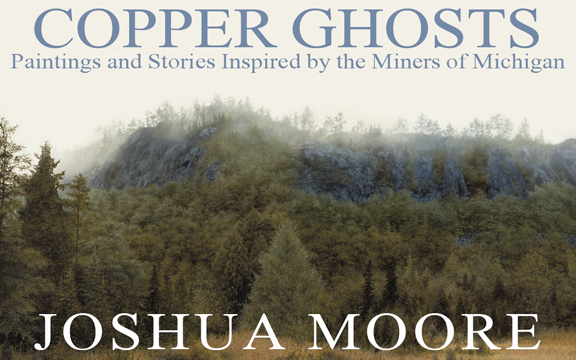 In the mid-1800s, the discovery of native copper in the Upper Peninsula of Michigan lead to an economic boom. Many people came to Michigan in search of work including immigrants, helping to create the beautiful diversity in Michigan and making a lasting impact on our culture. Michigan’s copper miners helped build this country and created past-times such as pasties and the idea of Sisu. Copper mining has remained a beloved part of Michigan’s heritage and the old copper mines of the U.P continue to be popular tourist sites today. 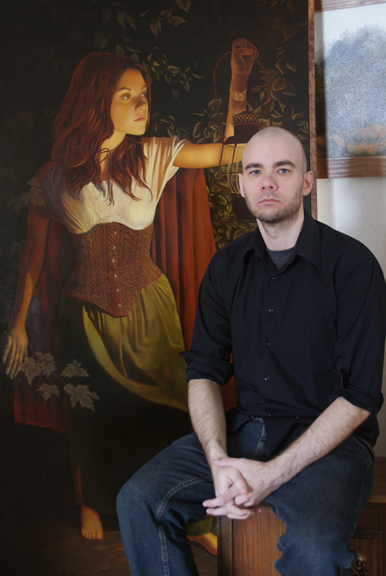 The paintings in Copper Ghosts were entered in the 2016 ArtPrize competition, the largest art competition in the world with around 400,000 people visiting downtown Grand Rapids every year. ArtPrize is unique in that any artist is eligible to join and the public decides who wins. The Copper Ghosts Collection came in the top 25 public vote for the 2-D art category. "The trail takes her to the cemetery, to visit her father. She comes often this time of year, when it’s warm enough to let the mind wander. She sits next to his grave and takes a deep breath. With the pick of a petal..."
The book is 50 pages long, contains 15 paintings, and 7,981 words.